Wait! Before you have a panic attack, there will be a fiftieth playing of the world championship pitting the surviving and hopefully best teams of the two football conferences again one another. It’s just they won’t call it ‘Superbowl L’. After forty-four years of using Roman numerals for designating the particular edition of the annual Superbowl game in American football, the National Football League (NFL) has decided to break with the tradition established inn 1971 and not to use the the letter ‘L’ to designate the fiftieth one. 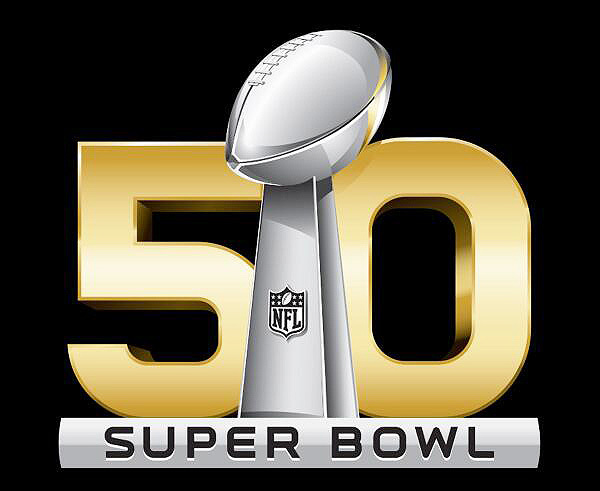 Instead the game will be officially called Superbowl 50. I suppose they could call it Superbowl 5-0 but that would be confused with the TV show Hawaii 5-0. Perhaps if they held the game in Hawaii that might have made sense in a cute sort of way. Also, there is the stoma associated with the letter ‘L’ standing for ‘loser’, something popularized int he 90’s by someone holding up the thumb and index finger of one hand to his or her forehead to indicate that someone else was a ‘Loser’. We can’t have something like that associated with the most watched sporting event in America, now can we? Do they intend to to return to Roman numerals after this coming Superbowl, designing it LI? Well, I’m concerned that could be mistaken for a reference to Long Island. The game will not be played there. It was a gamble wight he weather and all playing it at the Meadowlands in NJ last year. I think most people in the league feel they dodged a bullet as a snow storm was bearing down on the east coast at the time and hit the event site the day after. Maybe they should just scrap the Roman numerals altogether. After all, how many times have you had to explain to a kid what the letters meant. And then there is the whole matter of how Romans added subtracted multiplied and divided those crazy looking numbers and why western civilization adopted Hindu-Arabic numerals in lieu of the Roman ones. Who wants to go through that explanation? Eventually the roman numerals will be so long and complicated that it will be difficult to immediately decipher. Superbowl MCDXCII is a few hundred years away, but every American football fan hopes there will still be games then so we can continue watching them from the grandstands in Football Heaven. My suggestion is to just start calling the games by their serial number in standard, commonly used and understood numeral like 51, 52 and so on. It’s not like you see Roman numerals on that many things any more, some analog clock faces, volumes of books, the copyright script at the bottom of some movies. Yeah, I think we could officially just do away with them. Let them go the way of cursive writing, forever forgotten and no longer taught in school. We have more important things to teach. Who cares about tradition and cultural identity? It’s all a little silly anyway, isn’t it? Although I love watching American Football it always struck me as being rather odd that they used roman numerals for the Superbowl anyway. It was only for appearances, so it seemed more official or important in some way. Appearances is the real reason Superbowl L will be designated Superbowl 50.